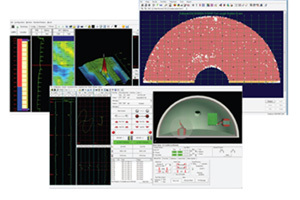 For nearly 50 years Zetec has been leading the way in nondestructive examination (NDE) with inspection solutions, including our eddy current software products. We develop world class EC software solutions that help you perform your inspections with the highest quality and accuracy. Our powerful software platforms and solutions deliver value, flexibility, and dramatically improve your inspection efficiency. And Zetec continues to focus on software innovation creating value added software solutions for the nuclear and balance-of-plant industries. ECS Eddynet Collection 350x220Designed specifically for complex nuclear steam generator tube inspections, Eddynet PC delivers powerful performance. It benefits from the Windows OS to simplify network administration, file utilities use and printing operations. Eddynet PC can be utilized as a bundle, or as separate data acquisition, data analysis or data management modules.